A group of 134 Chinese tourists recently arrived in Sri Lanka from Shanghai, China. 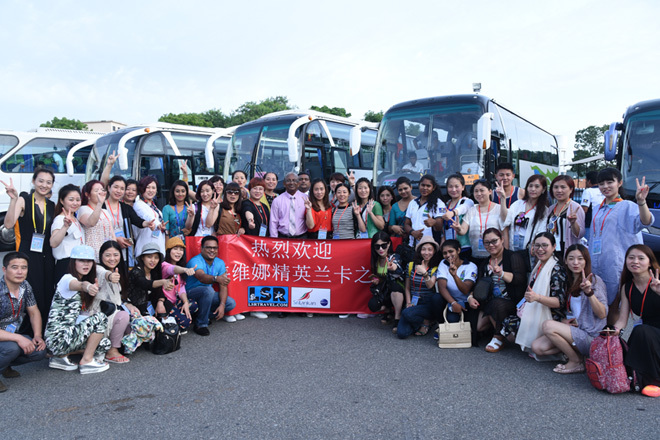 The visiting Chinese tourists are part of a group of over 1575 passengers, which makes it one of the biggest incentive groups to have visited Sri Lanka. The tour was organized by SriLankan Airlines Shanghai office in collaboration with Lanka Sportsrizen which provided the ground handling facilities.